Compliance Systems Management is in constant communication with some of the largest companies in California that are making hiring decisions on a daily basis. These companies come to us looking for the talents that you may have. We present qualified applicants to several companies in a day where it would take the average individual several weeks to make the contact that we have. We have spent years building relationships with client companies, and take pride in representing you into the right job. Whether you are a free agent, seeking full time or temporary employment, starting a new career, working for supplemental income, or re-entering the work force - CSM offers you the flexibility suited to meet your specific career goals and interests. We offer diverse types of education, ranging from computer skills to hands on training. Most importantly we offer career development for employees who have the motivation to succeed in the field of their choice. 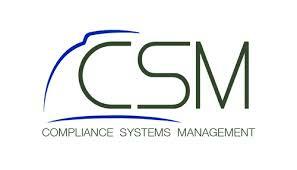 We also deliver a competitive wage scale making CSM a very desirable place to work. As a staffing agency specializing in Construction Management Support and training we are able to service a large variety of specialized industries. CSM offers positions ranging from entry level administrative support to Safety Managers, QC, and Field Engineers.